You don’t have to be a king or queen of social, spouting the latest lingo or flexing your trending muscles, to reap the benefits of social media marketing. You don’t have to use social media at all, mind you, if you don’t need new customers or business. But depending on your industry and its competitive landscape, there are tons of reasons you might want to use social media marketing to elevate your brand. 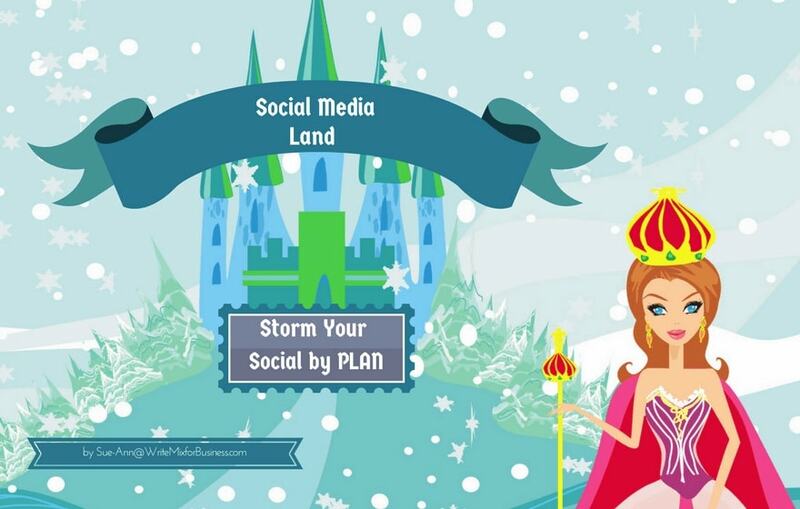 Social helps you to delight your followers and turn them into visitors to your content or website. Organizations use social channels for customer service, public relations, goodwill, and event management, in addition to other business purposes. Overall, social media marketing (SMM) can impact your bottom line by growing your business. Intangible results, for example, are also part of the equation and one more reason why a strategic approach is the only way to go. And social media marketing is free—anyone is welcome to use it. Your competitors might force you to participate in social media to stay visible and viable, so you might need to up your social game accordingly. Without a strong presence to rival key competitors, you risk notoriety in your marketplace. Visibility counts. Brand recognition is everything, especially to larger brands. But a little social can help maintain and build the brand of YOU as well. I’m finally convinced that a business of one—or thousands—can get positive results from a solid social media marketing strategy. Look, I was beyond reluctant to do any social media for my freelance writing business. But it didn’t take long for me to realize how important social media is for doing business, particularly digitally. Social media got me this writing gig, for example! But what I realized, and what you need to think about too, is that your SMM approach will benefit from a strategy. The traction I’ve gained since putting a social strategy in place is remarkable. If you want to level up and turn your social media efforts into a social media marketing strategy, then scream your little social head off! Why? Because I’ve been collecting research like mad, and I’m going to share it with you in this post. Let’s make sure your SMM strategy starts off with a bang and not a fizzle. Use this advice to start, re-start, or up your game, depending on where you are today, socially speaking. The thing is, whether you’re new or not, you need to think about social media with intention. But an intention isn’t action. So we’ll look at the why and the how for attacking social to make it matter. Instead of pulling out my bag of data and research to prove the importance of SMM in your business marketing mix, how about this? Wherever you are, whatever you’re doing, take a look around you. Are you seeing at least one other person—if indoor or out, in public or home—looking at a device? Thought so! Smart businesses notice this tendency as well. They understand that social media is about getting to where their customers are hanging out. To be seen in 2017, you need to go where everybody is looking. And that—like it or not—is at their devices! You know this is true. The evidence is all around you, everywhere you go. According to crowdSPRING’s 2017 surprising small business stats, 40 million small businesses have Facebook pages, 75% of which pay for promoted or boosted posts. 94% of small businesses use smartphones as their main phone service. 49% of these businesses use their smartphones to do business 7 days a week. Sharon also points out, “on FaceBook alone, there are 4.2 million pieces of content “liked” per minute.” Yep, per minute. David Hartshorne shares that 1.23 billion users log into Facebook for an average of 17 minutes. That’s the equivalent of 39,757 years every day. And you’ll also find over 100 more social media facts in his post and infographic, including this terrifying tidbit: 85% of people rely on Twitter and Facebook for their morning news. Reluctantly dipping into social is one way to go about attempting to have an impact, but having been there and done that, I suggest you do much better. These are the top three considerations for you to research and weigh before creating a social media marketing strategy and jumping on in. First, review the big picture to make sure your company’s vision is extended via your SMM plan. This means gaining pinpoint clarity in knowing what you’re all about. You need to know precisely who you are, what you do, and how you help. Review, update, or clarify your purpose or company mission as needed, making sure your highest level goals are concise. Having a deep understanding of your unique value proposition (UVP) is the starting point. Next, you need to know definitively how your UVP intersects with the needs, wants, and desires of your target audience. Remember, you’re going out on social to meet people directly. But first figure out who you are and who they are. To most effectively create your social media messaging and communications, start by aligning those corporate goals with an overall marketing strategy. Then incorporate that framework into specific campaign key performance indicators (KPI) that address your defined audience and business objectives. Some businesses outline core topics or work from a website’s main categories to create an umbrella for content focus. Again, the fine line is in balancing company agendas with the more important user experience. Try this for a quick start. Refine details and document action items for your social media marketing strategy by coordinating them within your editorial calendar. Or you can create an SMM editorial calendar as a separate function—but we’ll get to that. For now, how about resources to make sure you’re on track with this bigger picture for the first step? Check out this complete guide from CoSchedule and start your homework for strategizing for your SMM plan. They’re out there, alright. But you need to find out exactly where the people you want to reach are. So while you’re lining up your company ducks, do some research to know what social channels matter most. Let me make it really simple. You don’t want to take your beefsteak to a vegetarian event. You’re talking to the wrong crowd for beef. You would be a clear mismatch with little chance to sell any beef, no matter how fabulous it might be. The point is, you need to match social channel demographics with those of your target audience. If you take your beef to vegetarians, it just won’t work. Match your business with a channel and match the channel with an audience to hone in on the “sweet spot” where you can have maximum impact. Even the guy wearing the Social Media Hat and wearing it best emphasizes concentrating on a minimum of social channels, usually three at most. And he recommends doing them exceptionally well, rather than being half-assed on every single channel. This brings up the next important consideration for you to think over. Like anything, results take time—and work. If you know you can’t put time or work into creating your social media presence, you might as well not start. At the same time, don’t be intimidated either. I know I felt that way at first. I wasn’t at all sure I belonged on any social channel in the first place. But delightfully, I find tons of interesting, nice, and smart folks by going out on the limb and testing the social scene. 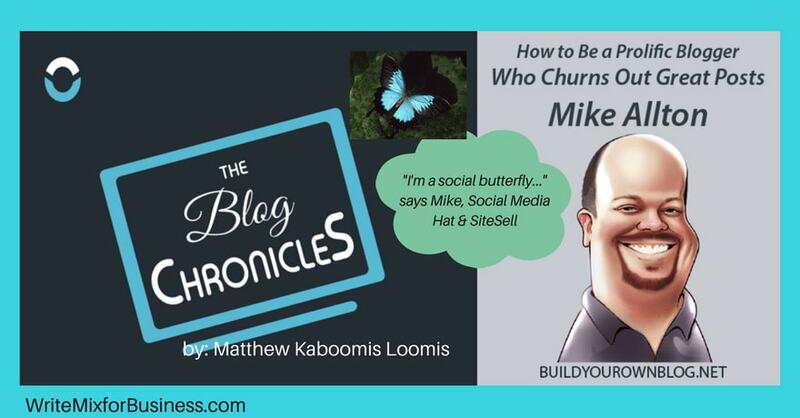 I do so by interacting with people—You know, the relationship building part Mike holds as most important to your social media success! 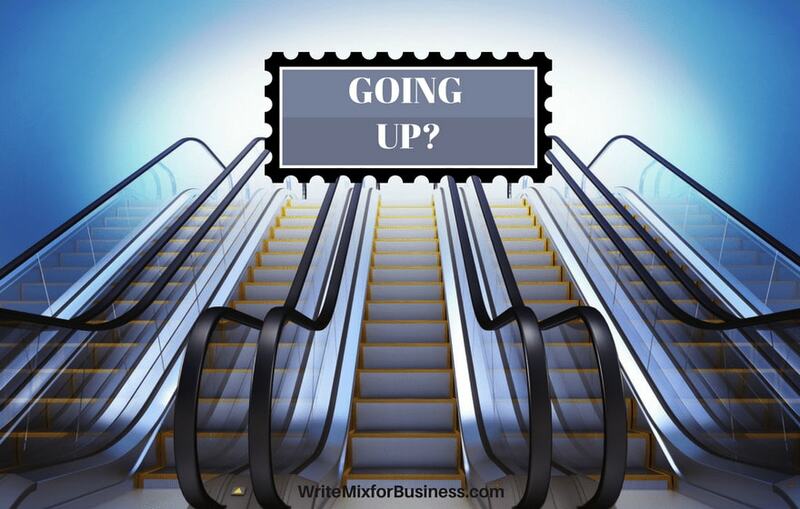 In a recent Allbusiness.com post, Gail Gardner points out that consistent equals persistent. This principle is true especially if you are just starting out, but also is a factor in SMM growth and reach. But there’s another step once you know you have the time (or manpower) to take on a social media plan. Even with good time management and determination, there’s more to do. I believe doing is moving. Taking action and getting things done is the only way to go, especially if you’re building a business. However, taking on SMM blindly is not smart, I find. I put together an outline with a way for you to do better from lessons I’ve learned. Taking time ahead of time for a thoughtful plan of action pays big in the end. Working in a defined direction with intentional activities saves much more than time. Why just “do” social media to do it, rather than working to create desirable results for your business? Why not build your authority and brand identity from the beginning with your social media marketing efforts? You can implement a SMM strategy, even if you start by taking the process only a step at a time! If the first three considerations above have you stumbling, then take your time and think about whether social is a fit for you. On the other hand, if you’re up for the fun—er, or maybe challenge—then download this handy dandy Social Media Marketing Checklist. Review it carefully. Start doing your research so that when you kick off (or update) for your biggest SMM success, the path is clearly set. 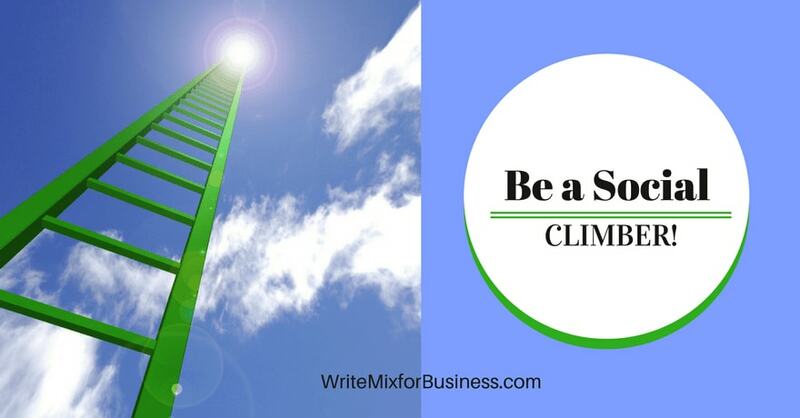 Look for the follow-up to this post for the nitty gritty details to turn your checklist into your social media marketing strategy and plan of action. Let me know your thoughts in the comments below and thanks for sharing…you know, it’s the social thing to do!! Consistency is often useful but in social media I agree that is has higher than usual importance. Given the ephemeral nature of social media their is a quick decay to the impact it has. But if you are consistent you can gain a following and each message reaches more and more people. Great post here. Those were some pretty interesting statistics you shared. I found it interesting that 49% of people use their smart phones to do business each week. Just goes to show you the importance of smart phone and making sure to optimize correctly for users actually using smart phones to view your content and be social with. P.s. That’s a lot of likes per minute. Yikes. The stats are shocking in some respects, Andrew. And eye-opening, perhaps, especially for small businesses and solo flyers in terms of the opportunities. That’s why I think the stats do push the point of the obvious (use you see) to make it surprising and powerful, I think. At least I was surprised … and it moved my meter in how I’ve been thinking about (dreading) social. Thanks for sharing this article today’s social media is one of the best platform for growing business. i think your article help me to know the different social media marketing and how to implement in our gate ece books and get new customers. Wow, You have shared a wonderful and a very useful article. Be blessed as you continue aspiring. Thank you for the post. And you’re welcome for the post share, too, anytime! I’ve been trying to grow my social medias for my website and I am the only one who put in a couple of hours a week but now I know that it need more than that. Your article has an inspired me a lot that how much important is social media. Thanks for the great share. I’m happy you got some ideas from the article. It takes awhile before you notice your social media is starting to have an impact sometimes. Hey Sue-Ann Bubacz.. Such a great blog you have brother .. Am gonna share this with my friends.. and yea such a great article and information Dude ! Thank you for sharing this with us 🙂 Keep It Up ! Love that you find this useful and share-worthy! I’ll try to keep it up, for sure…so much more to learn and write about, socially speaking and otherwise, too:) Well, thanks for coming by and for the fab feedback. Fantastic article … and SO RICH with resources. I can’t agree more with point three in particular. Genuine interactions over time go so far to establishing authority, engagement, and results! I have a funny feeling this may have something to do with my amazing social graces and getting to know you with (YEP, you guessed it) Social Media so, how about that to drive a point home!!? Seriously, I can’t thank you enough for stopping by and taking the time to leave a lovely comment:) Truly honored. Really very nice and enjoyable article. I always read your blogs they are really interesting and very useful. Thanks for sharing such a great post. You’re very welcome. Thank you for reading and taking time to comment, too. Thank you so much—love a thumbs up Review! Hi Sue-Ann – great article. I love the advice of Mike Alton on sticking to 3 networks. When I first started out in digital marketing I used to try every new network out there. I now have been sticking to mostly 3, Twitter, Facebook and LinkedIn. I will sprinkle with others from time to time but those are my main 3 today. You have to be able to network in those networks too – not just share content and leave – you need to help others by answering questions and asking questions too. Great piece Sue-Ann, love the images too 🙂 Have a great weekend ahead. Great point about networking using your social channels. Without that relationship building component, social loses its impact and is much less effective in getting real results. And Lisa, questions and answers work as the perfect way to go about connecting (using social) with people, so thanks again! Thanks for sharing these wonderful idea on social media marketing. I’d like to revise and update the social media strategies implemented for my business website with the assistance of these ideas. I’ve been trying to grow my social medias for my blog, I’ve only put in a couple of hours a week. I’m only a one-man army after all. My goal is for my blog to gain authority, traffic would be a good bonus as well. Having a lot of followers gives authority to your brand, and this is what I’m looking for. Once again great article, I’ll be sure to save it for later use. Yeah, you are right I might concentrate on the most beneficial thing for me, and put all my efforts in that. Because now I’m just running everywhere like crazy and that’s not good. Thanks for the advice, and I’ll be sure to check out part two! Excellent post with plenty of food for thought. I have to echo your point about choosing one or two platforms to focus on. As a solopreneur, it’s impossible to be everywhere all of the time. You’ll find your natural place to be, and where your audience hangs out. Thanks for mentioning a few social media facts from my post. I think FOMO gets to us, David, and people also think they HAVE to do them all for a business. I admit I’ve been nudged (pushed, thrown) into social by business friends and associates with the HAVE TO DO IT attitude approach. In the end, they were correct (for me) at the right time and for strictly business purposes but, I’ve come to realize doing a couple channels really well works best to be effective for the smaller businesses, like us. Business happens by building relationships, in the end, not from a “presence” on a zillion channels. Oh, and by the way, for my 30-year-old brick and mortar small business, I’ve never used social. EVER. But for a digital business, the whole universe changes and so did my perspectives. The learning never ends, does it? And speaking of food for thought, your link and all the facts presented (a whole post and infographic worth) gave me a lot of food for thought putting this post together. Thank you for commenting and more! i read that blog social format which is the basic and realistic thing which is to make your identity in market so always be serious about in social media . Hi! Yep, social media marketing is a great way to build your traffic and business but, you need to make sure you find the correlation between what you offer and who wants to know about it. You may want to check out the last link for a checklist to give you some guidelines to get things figured out and focused. Amazing write up. Thanks for this aspiring post. it is a nice article . Thanks for sharing this.